Simple pieces for sight reading can be hard to find. I decided to write some and post them as they are completed. 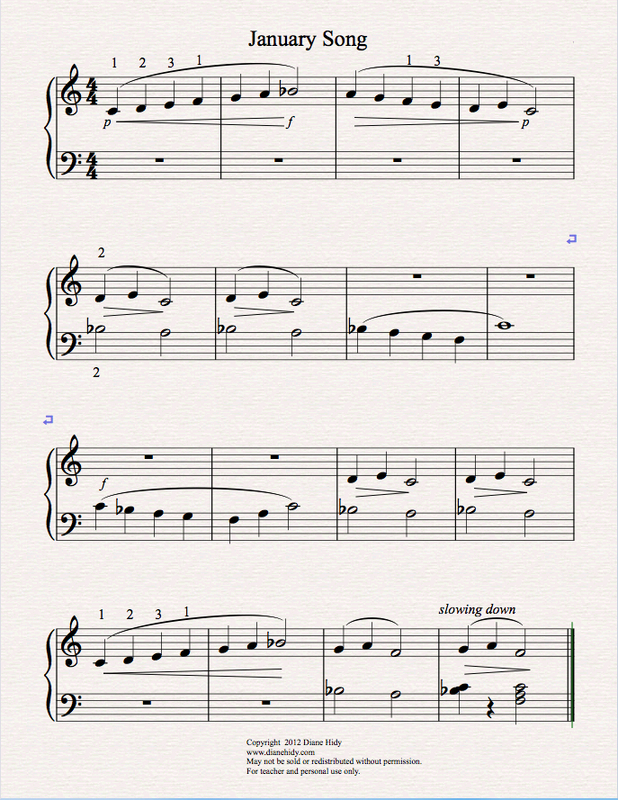 This one page piece is in G Major, without key signature. Simple RH scale crossing, a few dynamics. This one page piece is in F Major, without key signature. Simple RH scale crossing, dynamics.